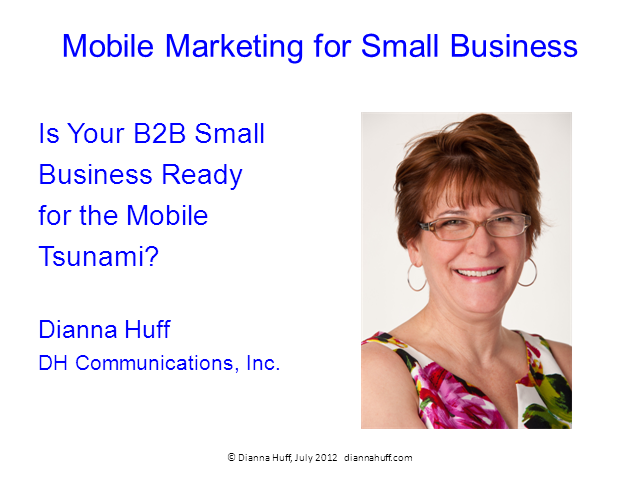 Is your B2B Small Business Site Ready for the Mobile Tsunami? The use of mobile technology is soaring – with smart phone use increasing by 44% in Europe for 2011 and 55% in the U.S. (source: comScore). While mobile technology is disrupting the retail industry, scant attention is being paid to how mobile is changing the B2B landscape. With people now being able to access information on the go via tablets and smart phones, mobile technology is changing how buyers interact with brands. Smart business owners and marketers will ensure they’re ready for the impending mobile tsunami. Title: Is your B2B Small Business Site Ready for the Mobile Tsunami?